World Class Comedy or Investing: Are They Teachable? Seinfeld: I love to talk about comedy. I love to break down why I’m doing this bit this way…why I put that line here and not over here. Do you think I could teach that as a course? Do you think it’s teachable? Harvey: [slowly shakes his head no] Naw man. Harvey: If you explained it to ‘em, it would make no sense. This is the most senseless profession on earth. I was born with this eyeball that sees everything differently. […] Comedy is the one profession that’s non-transferable. Comedians can become great actors, but great actors can’t become comedians. Seinfeld: You can get better at anything you want to get better at…except this. Steinhart put together one of the most remarkable track records ever, as his fund earned over 24% per year from 1968-1978. This was during a time when the S&P 500 was up less than 4% per year, mostly because of the relentless inflationary pressure and brutal bear market of 1973-74. He deployed “an often inchoate judgment,” he believes — a sixth sense that grew out of the experience of making investment judgments daily. Steinhardt had been fascinated by finance since his thirteenth birthday, when his absentee father presented him with stock certificates as a bar mitzvah gift, and he believes that constant immersion in the markets creates an, “intuition [that] should be lauded and worshipped.” The idea that experience builds judgment may sound plausible, but it falls short of a testable truth. And it is weakened by the fact that Steinhardt made his biggest errors late in his career, at times when experience should presumably have protected him. He had a hard time even explaining his own reasons for success or at least finding ones that legitimately made sense. As Harvey said about comedy, being a world class investor is something that’s non-transferrable. I saw Seinfeld in person a number of years ago. In my mind he’s an all-timer when it comes to stand-up comedians. There have been a number of stories over the years about his process for writing jokes and his tireless work ethic for constantly honing new material and continuing to do shows even though he doesn’t need the money anymore. I’m sure young comedians coming up in the game read about Seinfeld’s process in hopes that they can replicate his success. I’m just as skeptical as he is that it can be done. This is something that investors deal with all the time as so many would like to emulate their favorite billionaire fund manager. It sounds so easy when you read a book or listen to an interview about Soros, Buffett, Marks, Munger or any number of the all-time greats. The harder you try to become one of the world’s best investors, the easier it is to become one of the worst. This doesn’t mean you can’t learn many lessons from the world’s greatest investors, though. Far from it. Most people that track the greats just seek the wrong lessons. Can you learn to become a better investor? Absolutely. Can you learn to become a very good investor? Definitely — with enough hard work, knowledge and perspective. But can you learn to become a world class investor on par with the likes of someone like Michael Steinhardt? I say no, being one of the world’s greatest investors is not a teachable skill. 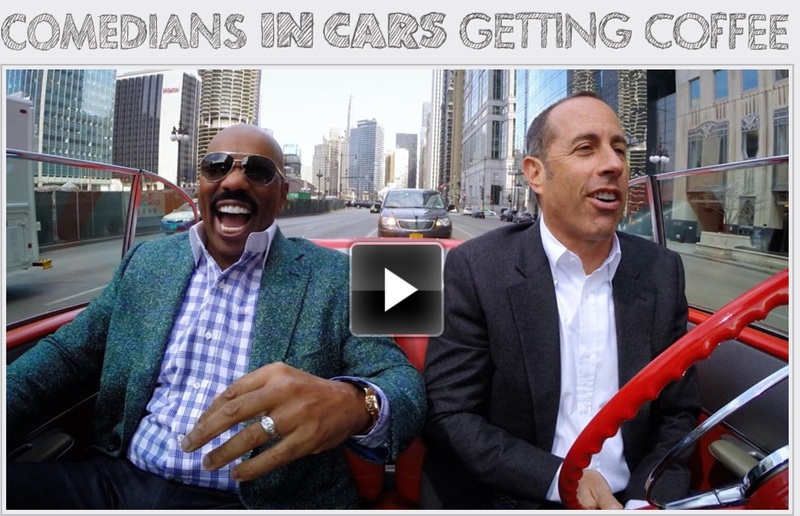 You might have an easier time becoming the next Jerry Seinfeld than you do becoming the next Warren Buffett. What happened to Steinhart after 1978? Did he mean revert or continue to outperform – it is unclear from teh wikipedia article. He actually closed up shop and went out on top because he got burned out. He ended up being one of the initial investors in WisdomTree, which has been a huge success so he’s continued to do well. From the same Forbe’s article on Steinhart: By the company’s own reckoning, 14 of WisdomTree’s current 61 ETFs are pure beta-plus equity plays, although many of its other products contain elements of fundamental weighting. Since inception 10 of the 14 have outperformed their benchmark indexes–some dramatically. But all four of its domestic dividend-weighted funds have underperformed. WisdomTree is probably one of the most successful ETF firms ever. There is a difference between how Wisdom Tree has done at selling its products and how its investment returns fare for the retail investor. No doubt they have been good salesmen, but that’s not the salient issue. How do Wisdom Tree funds perform vs Bogles index funds? My understanding is that larryqpc is likely correct. Given 1000 hedge fund managers in the 1960’s-1970’s, a significant minority will outperform the market over any given time period, and one or two will indeed shine for the entire period. This is the usual bell curve and someone is going to be in the tail. Given enough time, regression toward the mean will occur. Steinhardt has some skill but most importantly he knew when to quit. Malkiel’s Random Walk covers this as well as Taleb’s Fooled by Randomness. Bogle may end up being right about WIsdomTree’s preformance, but by his own long-term standards it’s far too early to judge the performance of their funds since most are only a few years old. I also think there are many other bad players in the fund industry that he could go after. WisdomTree charges relatively low fees. Steinhart generated average returns of 24% from his funds inception in 1967 until he closed it in 1995. He still does some trading but mainly invests with other managers. Suggest everyone read Daniel Khaneman’s book Thinking Fast and Slow for an excellent discussion of how we humans have an impossible time understanding the concept of regression to the mean and LUCK. The fact that he did well for 10 years (or 20 years) being ascribed to a “world class investor” instead of world class luck is typical of human reaction; we look for patterns and reasons for those patterns. No one knew in his first and second year that he would beat the market for that many years; only in retrospect did we find this “world class investor” and instead of recognizing that he was just lucky, we ascribe this “world class investor” label. Also look at Bill Miller and his T Rowe Price Value Fund where he beat the S&P for 15 years and then tanked; the average investor in that fund lost money even though he beat the market for 15 years. Statistically, there should have been several people who had a 15 year run during that time; the fact that he was one of them is just proof of the statistics. By pure luck, someone was going to do it. Bottom line: not only can you not teach “world class investing”, any attempt to “beat the market over time” is a fool’s errand. Of course luck plays a role in the markets, but I don’t think you can completely discount skill in this instance. It’s not all completely random. The best investors just understand than luck plays a role and they focus on process over outcomes. I agree that probably 95% of investors shouldn’t make it their goal to beat the market, but that doesn’t mean it’s impossible. Take a look at the More Money Than God book. It’s an interesting read.